A pretty wool coat is an absolute fall/winter must-have! It's even better when they don't cost a fortune and you can create a beautiful, affordable and cozy fall look! I am so obsessed with these wool coats! I have 4 of them in all different colours ( see my pink one here) and there are still 3 more that I really want lol! They're so pretty and warm, and they make any outfit look so classy and put together! 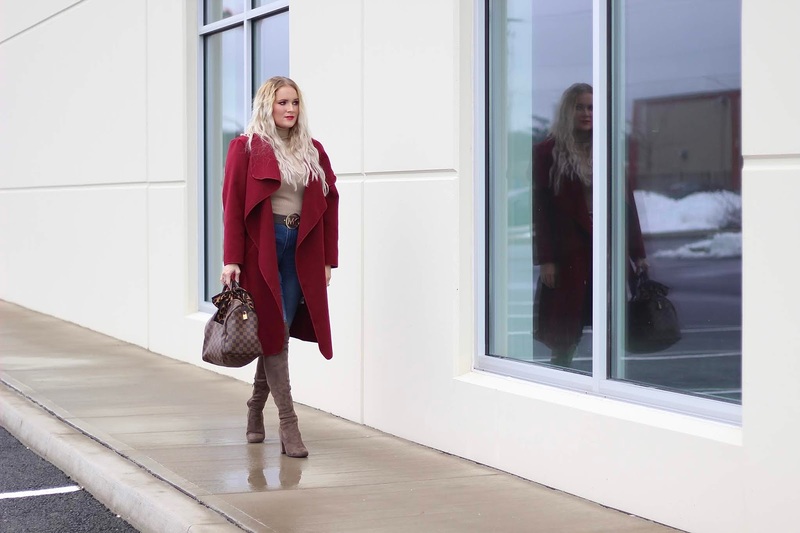 Most of this outfit is currently on sale so if you're looking for a fabulous wool coat, this one is currently under $25. It's even cheaper right now for Black Friday ($22.80 Canadian)!!! Yes, you read that right! Grab yours in your favourite colour and make a gorgeous, affordable and cozy fall look of your own! Happy shopping my friends! !